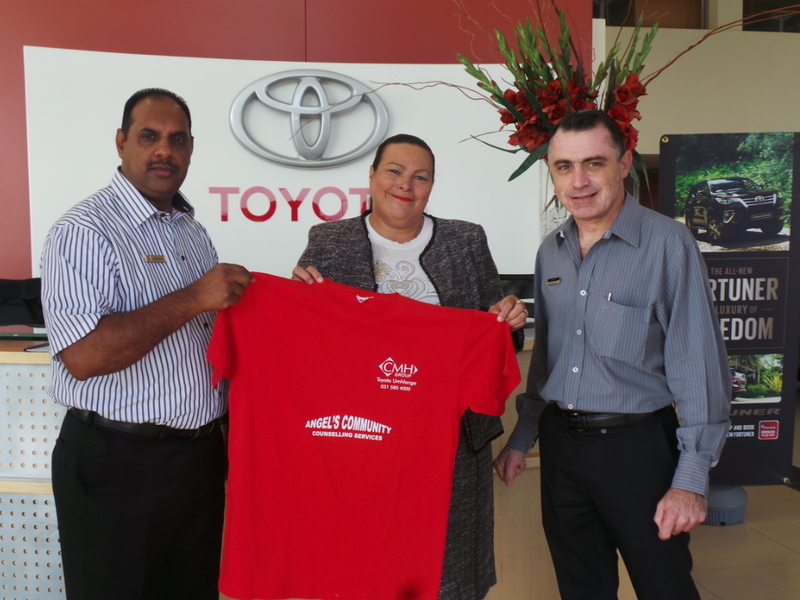 CMH Toyota Umhlanga was proud to sponsor stationery and t-shirts to Baracuda Primary and Roseland Primary when they attended the free counselling courses held by Juanita Angel Booth of Angels Community Counselling Services. Mrs Booth specializes in various types of community counselling and has been doing it for the past 20 years. We wish her success in her endeavors and are proud to be part of this initiative. Seen above is Toyota New Car Manager and Toyota Knight Patrick Pakaree, Juanita Angel Booth and Dealer Principal Mark van Heerden.